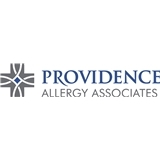 Providence Allergy Associates (El Paso) - Book Appointment Online! Great! Good to see all the staff back! She was absolutely amazing. I feel she listened and is doing her best to help me.